India’s economy is rapidly growing according to World Bank ranking and Ease of doing Business, 2017, but there are still a lot of anomalies that needs to be addressed by the organizations and government together. Even till date our business sector follows the old school norms like business transactions based on word of mouth, and paperwork. And becasue of too much of paper work they tend to loose some documents that too in the era of digitization. In this article we will briefly discuss about the possibilities of recovery of money from your debtors when agreement is lost or was oral in nature. If you’re a creditor and worried that you have by mistake lost creditor-debtor agreement or if it was made in verbal agreement, then don’t be as you still have a chance to recover your bad debts from your clients. What is verbal agreement and is it valid? 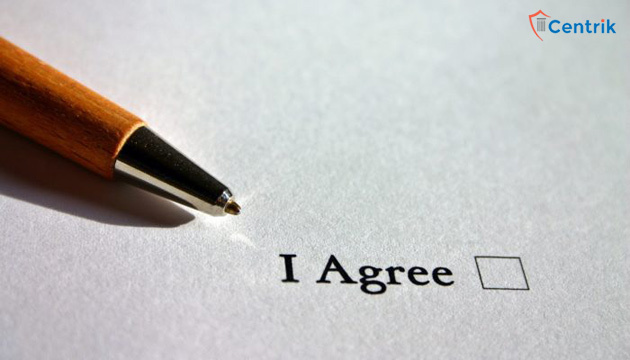 An oral or verbal agreement is a contract, the terms of which have been agreed by spoken communication. If you entered into a contract which was made on verbal agreement, you as a creditor have all the rights and remedies to recover that money. Oral contracts are valid contracts under section 10 of Indian Contracts Act, 1872 and enforceable. Many a time parties enter into contract based on personal relations. Word of mouth becomes an agreement, valuing the importance of relations. What happens when agreement is lost? If by mistake you (creditor) have lost the contract agreement, then also you have the right to sue your debtors based on the other documents related to the transaction that you might have kept safely. All these documents make corroborative evidence. What can a creditor do in case of default from debtor’s end? Creditor has the legal right to sue the debtor in court of law for recovery of unpaid money based on the contract. Evidence holds all the importance in case of such critical agreements where a written agreement does not exist. Evidence plays a significant role in proving your point in this subject. If you have sufficient evidence to substantiate the transaction and its authenticity then you can approach the competent court. Every matter depends on the merits of the facts and the final judgement rests on the court of justice. But you must be aware that you have all the rights to recover your money from your debtor if you have made any sale-purchase transaction. What can be treated as evidence under the Indian Evidence Act? Witness or witnesses to the transaction is treated as important evidence by court of law to record the facts while case is under trial. The mode of transaction, which may contain an invoice, book of accounts statement, bank transactions, G.R number (Goods Receipt No., about which we have covered in our previous topic) can be treated as evidence. Affidavit of lost promissory note by creditor mentioning all the details enclosed with annexures can also be treated as evidence. Concluding on the subject, the article has just tried to enlighten and make people aware about the scope of debt recovery and how money can be recovered from debtors even if there was some folly while executing the contract, or the required agreement went missing or the contract was an oral agreement. There is nothing to worry, because your money belongs to you and will retract back to your account making your business healthy once again.